$6. 6 minutes. 100% Eco. 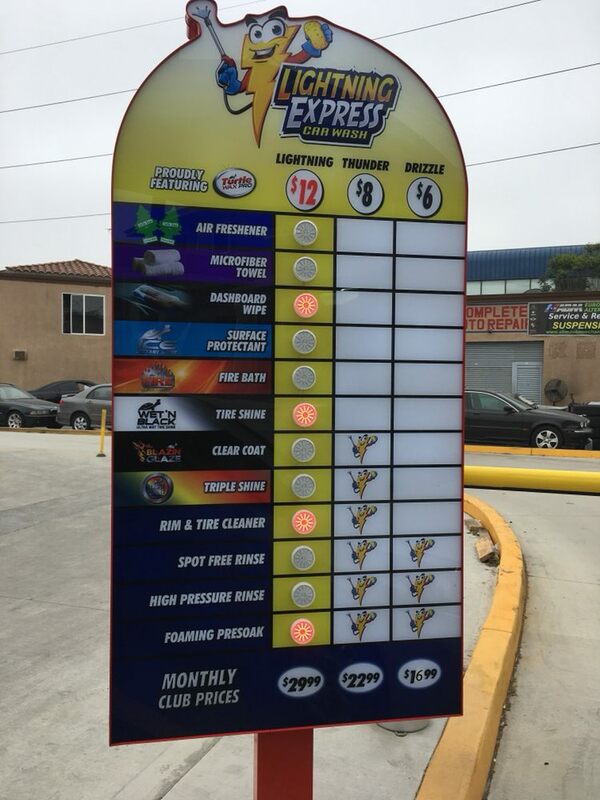 Welcome to Southern California’s most cutting-edge express car wash. Lightning Express Car Wash Car Wash is dedicated to serving the environment, and serving your car. We started this business with two things in mind: to provide you with the best car washing service, while not harming the environment. At Lightning Express Car Wash Wash we are environmentally proactive! We recycle 90% of our wash water and use only low horsepower motors to power our equipment. All of our lighting throughout the facility is low power LED. Only 100% biodegradable, environmentally friendly detergents and waxes are used to wash your vehicle. Even our parking curbs are recycled rubber!